Today we celebrated my dear friend Carrie’s last day at work here in the Marketing Department at Adventures in Missions. She’s been an amazing friend and co-worker, and one amazing senior copywriter. We’re going to miss her like crazy. I’m excited for all God has in store for her and wanted to send her out in style. 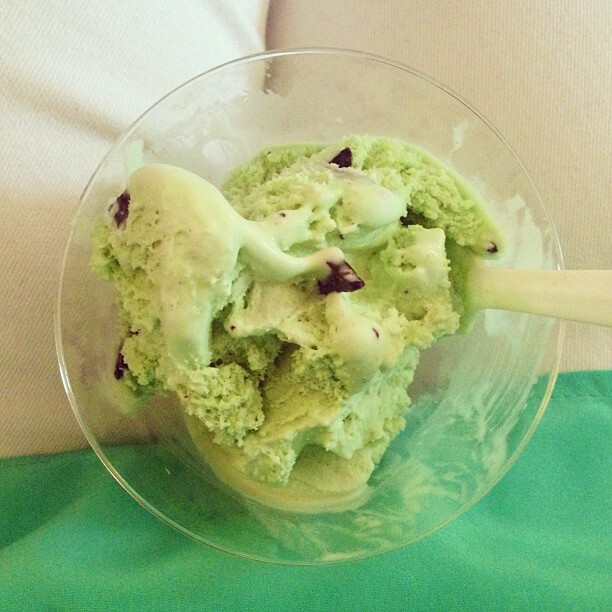 It’s true Carrie: you “MINT” the world to us! 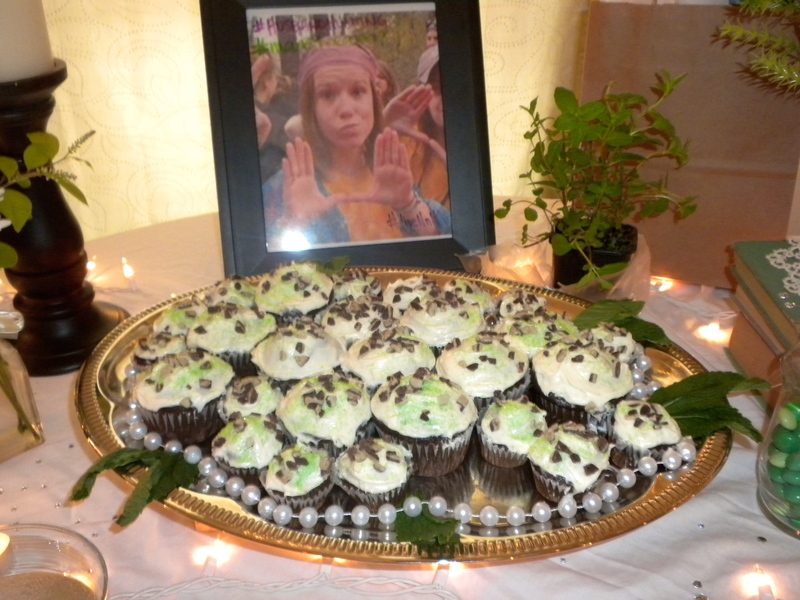 Chocolate cupcakes, vanilla frosting, and bits of Andes Mints and mint green sugar crystals to top it off! 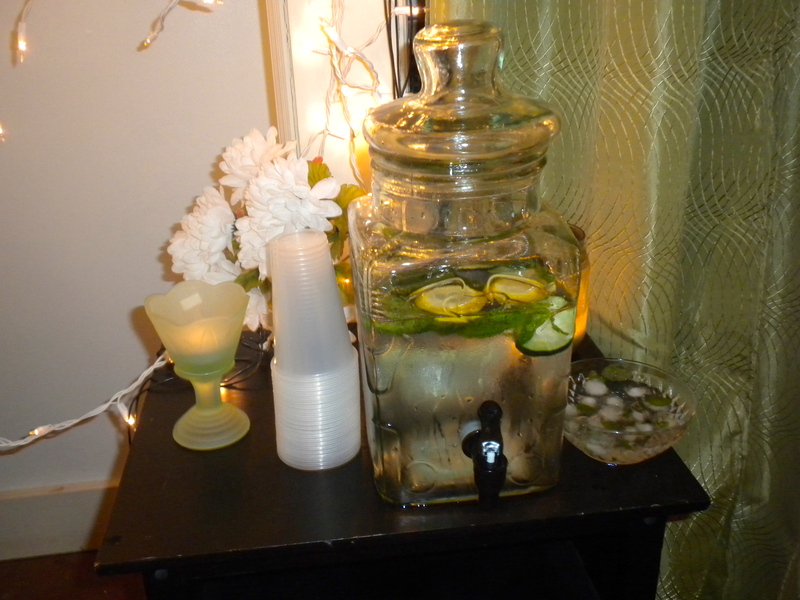 Water with Mint leaves, slices of cucumber, lemon, and limes! 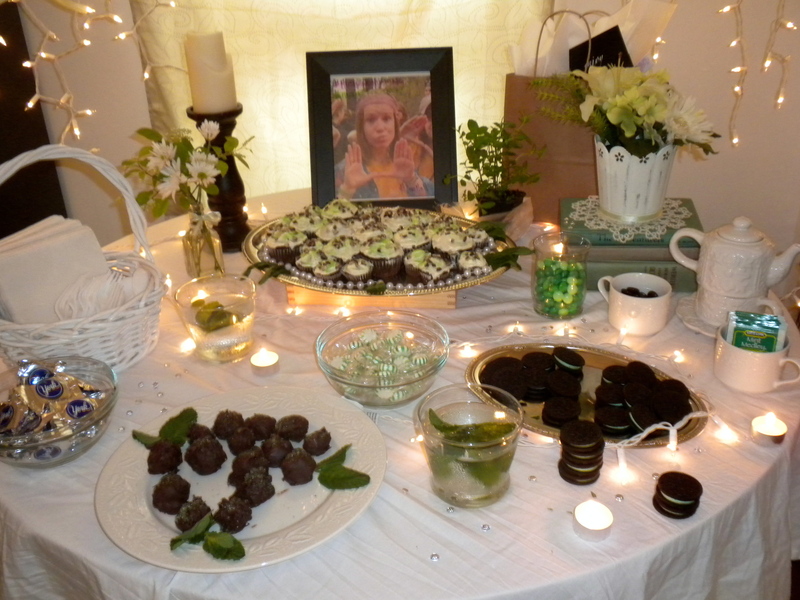 Mint Party Table Food: Cool Mint Oreos, Mint M&M’s, Mint Oreo Truffles, York Peppermint Patties, Chocolate cupcakes with Andes Mints, and Mint Chocolate Chip Ice Cream! Mint Party Beverages: Garden Water (Water soaked with Mint Leaves, Lemons, Limes, and Cucumbers); ice cubes frozen with mint leaves; Hot Peppermint Tea. 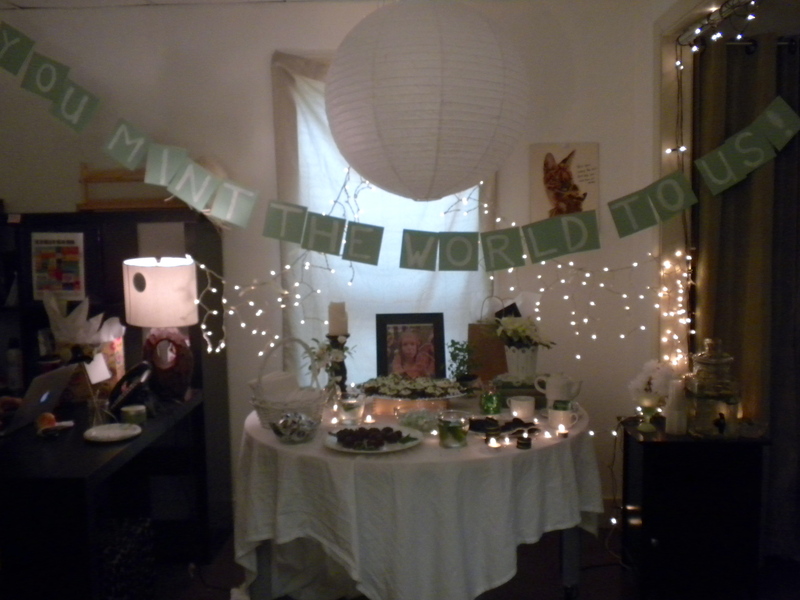 Other Decor: white paper lantern, t-lights, white Christmas lights, jewels, mint leaves, and white flowers. The banner was made with 12×12 mint colored paper, cut in fourths, painted with white acrylic paint. Each piece was taped onto a strand of twine.